‘This has become a special part of my life,’ says novelist Jay McInerney, referring to wine writing, his parallel career. McInerney’s keynote kicked off the 2016 Symposium for Professional Wine Writers in an entertaining fashion. As you might expect of a novelist, he’s good with words. It wasn’t long before McInerney began to write about wine. A friend of his, Dominique Browning, editor of House & Garden, asked him to pen a wine column. He told her he didn’t know enough about the subject. ‘At this time there was technical writing and British floral writing and little in between,’ says McInerney. ‘She insisted there was room for an amateur – a passionate fan.’ So she sent him around the world to get educated, something that wouldn’t happen today in this era of budget slashing. House & Garden shut down in 2007 and with it Jay’s wine career, or so he thought. But the Wall Street Journal came calling in 2010 and he decided to take it up again. He cites Kermit Lynch’s Adventures on the wine route as one of the best wine books ever written, and regards lynch as a pioneer in the appreciation of the regional tradition of French wine. Lynch reckoned that the last great Bordeaux vintage was 1981, and regrets that now the Bordelaise dress their wines up with lipstick and high heels. He misses the ‘sinister bite’ of old Bordeaux. 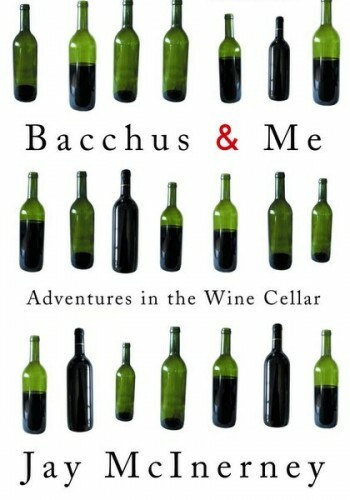 ‘Thomas Jefferson was another influence in my wine writing,’ says McInerney. ‘He was the founding wine geek.’ Jefferson once said that no nation is drunken where wine is cheap, and he regarded it as the antidote to the bane of whisky. He won’t write about wines or people without visiting their place. He recalled the situation where Angelo Gaja took a sledgehammer to the family television because he felt his kids were watching too much of it. This is the sort of colour he likes in his stories. Great piece Jamie, so nice to hear a novelist talk about wine – different reference points. Hadn’t heard of Jay McInerney until recently.Think it was an article in an edition of Noble Rot that put me on to him. Brilliant writer on wine (from a less technical angle). I’m just coming to the end of The Juice and can also highly recommend A Hedonist in the Cellar.